The Ft-Worth area has the most charter buses per capita. 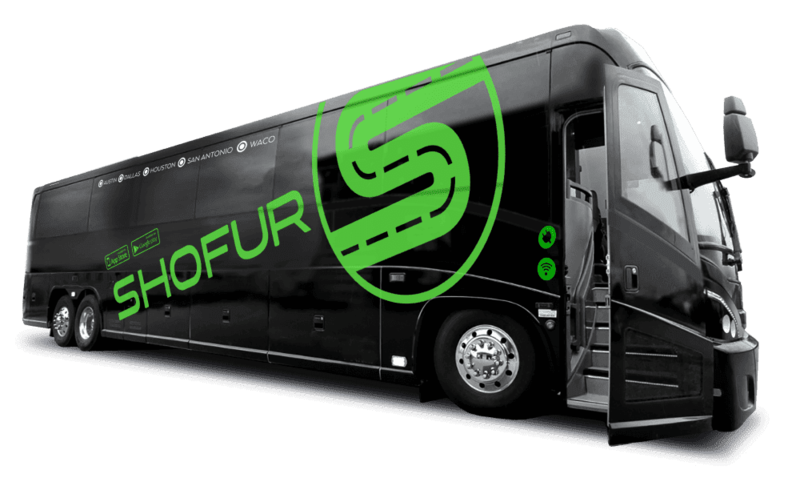 Shofur arranges transportation for any occasion, including football games, weddings, corporate outings, or cross country excursions. Shofur will arrange for the buses to pick you up at any location in the DFW area. Please give us a call 24/7 for your next Ft Worth charter bus rental. Visit Ft. Worth by using a charter bus. Your family or group will love their service and luxury vehicles. They also have mini busses, limo busses, or luxury shuttles for your use too. Their experienced drivers go through extensive training and background checks for your safety and peace of mind. Ft Worth is a city in North Central Texas with a population near 815,000. It sits on a bluff overlooking the Trinity River. After it became a stop along the Chisolm Trail, a pathway where millions of cows were driven to the north for market, it became a bustling town. It became the center for cattle drives and the ranching industry flourished. That's how it earned its nickname of “Cowtown”; Oil has also played a large part in the growth of the city. After oil was discovered in 1917 on the McCleskey Farm, five refineries were built and became the center for oil operators. The Kimball Art Museum is known internationally for its architecture and collections. It hosts education programs and traveling art exhibitions. It's also home to an extensive library used for research purposes. With its natural light in the upper floor, it makes an excellent location for the infamous art collection. These collections range from the period of antiquity to the 20th century and include masterpieces by Fra Angelico, Monet, Picasso, Michelangelo, Caravaggio, Matisse, and Poussin. The C.R. Smith Museum is named after the former President of American Airlines, Cyrus Rowlett Smith. The museum gives visitors an idea of what air travel was like in the 1940s with its restored 1940 Douglas DC-3, Flagship Knoxville, which is the museum's “star”; It has several permanent exhibits, as well as traveling exhibits. For instance, in the Flightlab, you can learn how airplanes fly with interactive displays. Your visit won't be complete without going to the Stockyards Station. Located in the heart of Ft. Worth's Stockyards is this exciting blend of old and new history. You'll love the historic walking tour with over 25 shops and your choice of restaurants: Riscky's Barbeque, Trailboss Burgers, or Habanero's Mexican Restaurant. There are also special attractions at the Station, such as: Legends of Texas, which is a reenactment of gun fights; Texas Cowboy Hall of Fame, where cowboys who have shown excellence in rodeo competitions are featured; and the Petting Zoo, filled with all sorts of animals that are fun for adults and children to pet. Located just west of Ft Worth in White Settlement is Hawaiian Falls Water Park. For fun for the whole family, this is the place to go. The 16-acre complex has a water park, an endless adventure park, and event center. The water park includes Breaker Beach, a wave pool that is the length of a football field, and a 1,000 ft. long river with rapids and fountains. It also has slides and areas to sit and enjoy the scenery. The endless adventure park has a multi-level rope course and a 60 ft. high wall to climb. It also has a 20,000 sq. ft. indoor family arcade. It's the perfect place for a birthday party as it has private party rooms. The event center is especially nice for group events, family reunions, or large gatherings. The center has room for 300 dining guests and 400 guests for meetings or theatre-style gatherings. Sharkey's Café, Surf Side Barbeque, and Hawaiian Shave Ice are all places to eat a meal or have a light snack. With a bus rental, you'll be able to see all the area has to offer in complete comfort and luxury. Why drive when you have experienced drivers just waiting to take you and your family or group on a fabulous tour? They make it so easy to pick and choose the right vehicle for your needs. Trust your safety to the best transportation company available. Shofur is always available for your transportation requirements.